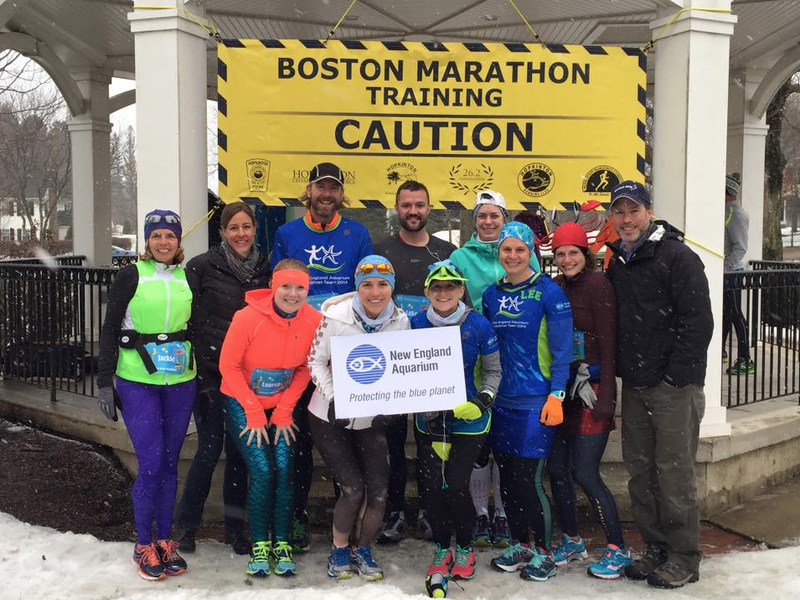 While spring has been eking ever closer, the New England Aquarium Marathon team has been plodding closer and closer to the start line for the Boston Marathon. That means running, of course, fundraising and, for some runners, a chance to experience first-hand the Aquarium's outreach programs. Aquarium runners are raising money to support these outreach programs, which bring ocean education activities to local schools and community centers. Lauren and Rachel recently accompanied Aquarium educators to a program all about whales. Massive plates of real baleen, hands-on activities and engaging posters were among the cool teaching tools these dedicated runners had to share with the enthusiastic young learners at the event. Donating to the marathon team is one way to ensure that the next generation of ocean protectors learns to love this global resource. 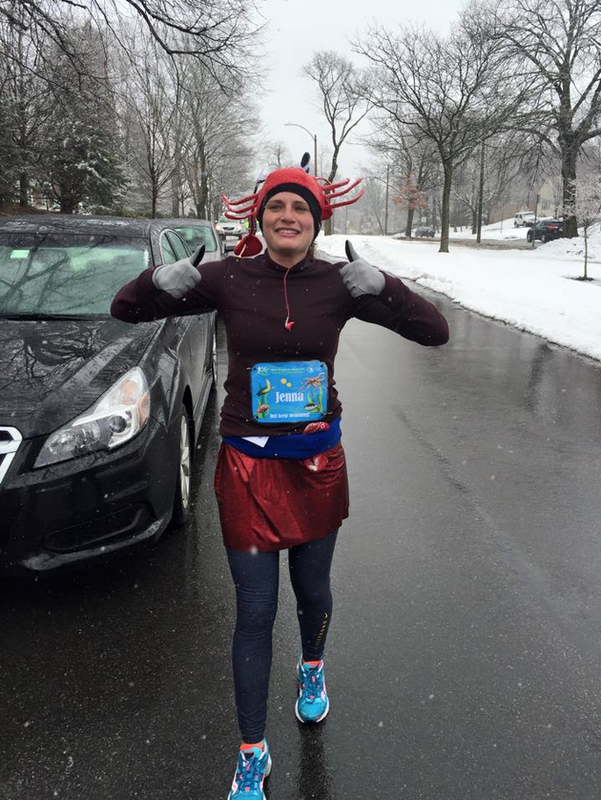 The team's longest run set out along the course for 21+ miles in chilly, wet snow. Because of course it snowed. 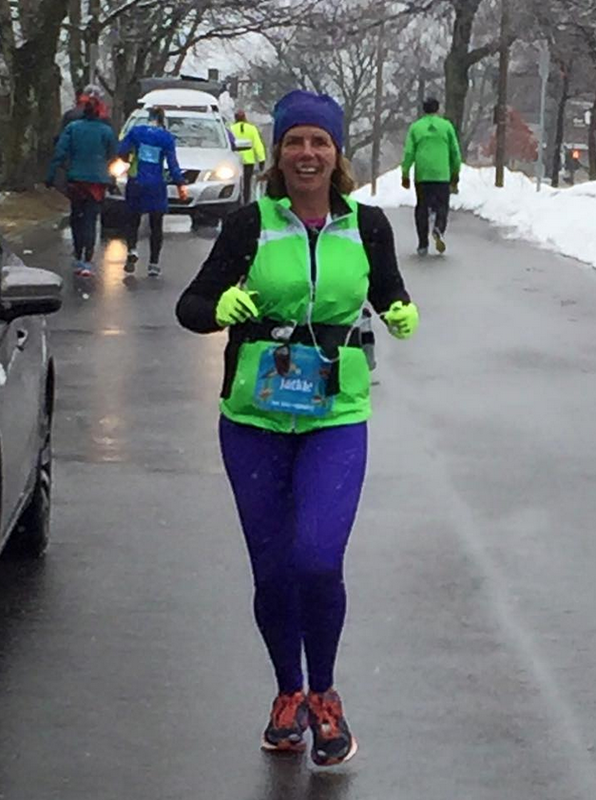 Running, running, running is another important component of preparation for April 20. The long training runs have gone off without a hitch despite the never ending stream of snow storms and showers. Some team members even flew in from far-flung places like Texas and Virginia to enjoy our snow during the longest run of the training season (or maybe they just wanted to get a feel for the course before the big day). Jenna from Arlington, VA, crabbing for the camera. The race is just a few weeks away now. 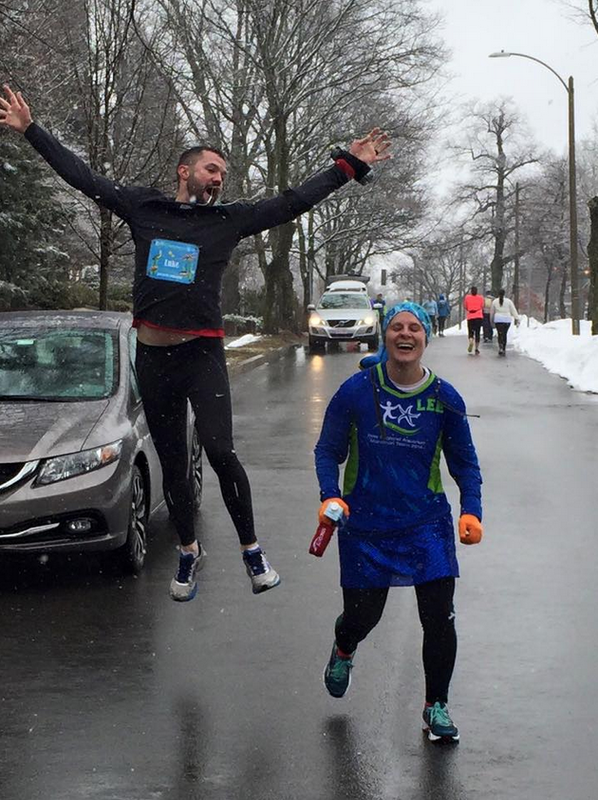 Hopefully the snow banks will melt quickly so the rest of us can get out there and cheer on these runners! We'll be posting one more time about the marathon team with a snapshot of the team's shirts so you'll know to look for them on the course. Stay safe, runners. Enjoy your taper! Good luck on Monday! I know you all trained well. So, with a weather forecast good for running (I think), it will hopefully be a good day for all. J-P.